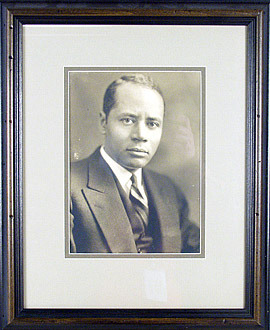 One of the most influential figures in African American life between the two world wars was Charles Hamilton Houston. A scholar and lawyer, he dedicated his life to freeing his people from the bonds of racism. What we have learned so far: Charles H. Houston was an african-american lawyer. He was born to a well to do family in Washington D.C. His father was the head of his own law firm and his mother was a teacher. He lived a fairly privileged life until he volunteered to serve in World War I. Charles had not felt the sting of racism or segregation. When he joined the army he had his first taste of segregation. All of the armed service were segregated. Even though he was an officer he was kept in separate quarters from the white soldiers, he was restricted to base and was harassed constantly. A group of white soldiers even tried to lynch him. He was shocked. He promised to go back to the U.S. after the war become a lawyer and fight for the “rights of men who could not fight for themselves.” He went back. Got accepted to Harvard. Became the first black editor of the Harvard Law review. He then joined the faculty of Howard University a black college. He improved their law school. While at Harvard he had done a survey of the south for how many black lawyers their were. He found for 9 million black citizens there were only 100 black lawyers. His plan was to educate an army of black lawyers in Constitutional law and civil rights and then send them to the South to Kill Jim Crow. Tell me at least 5 things you have learned about Charles Hamilton Houston.